The fish stocks in the Mediterranean Sea are in deep trouble. The European Commission’s Joint Research Centre has found that 93% of assessed fish stocks are overexploited, and some are almost completely gone. At between 10 000 to 12 000 species, the Mediterranean sea contains 7 to 10% of the world’s marine biodiversity. Not to mention that it is an economically important fishery. However, the sea is now in grave danger. Multiple factors are affecting it: pollution, climate change, and overfishing are just a few. In their latest study, the scientists warned that all of these pressures might push the Mediterranean Sea ecosystem to a point of no return. They analyzed and modeled data from the past 50 years and found that almost half of marine mammals and a third of fish have already been lost. The Mediterranean Sea. Image credits: NASA. The researchers compared 50 years of data to see how animals in the Mediterranean are doing. In total, all of the fish and large animals in the Mediterranean Sea have been declining. The amount of fish decreased by 34%. Top predators and marine mammals declined by 41%. Different regions of the sea were affected to different degrees. The effects were the strongest in the Western Mediterranean and the Adriatic Sea, where half of the fish were lost. Fishing pressures have also changed through time. The amount of fishing increased steadily until the 1990s, but it’s been dropping every since then. European fish have been declining drastically. Image credits: Alberto Romeo. Next, the researchers examined how ecosystems and animals have been affected by primary production and fishing pressure. Both factors were important, but primary production played the most important role. The organisms at the bottom of the food chain are running the show, and they have been doing very well. While all of the fish declined, invertebrates increased by 23%. With added nutrients and increasing temperatures, the amount of plankton has been increasing in this naturally low productivity ecosystem. Fishing was also an important driver of this decrease; the amount of fishing has been taking fish faster than they can reproduce. 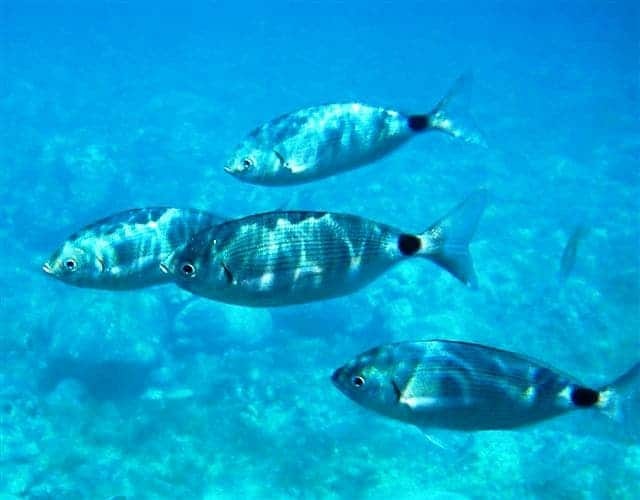 “These characteristics render the Mediterranean Sea highly vulnerable to impacts such as climate change, marine litter and invading alien species, and it is very easy to overfish the existing stocks. When fish stocks are fished intensively, they do not have the time to reproduce to keep up the population levels”, says Jann Martinsohn, leader of the fisheries research group at the JRC. In the future, there are likely to be even more stresses on the marine life of the Mediterranean. 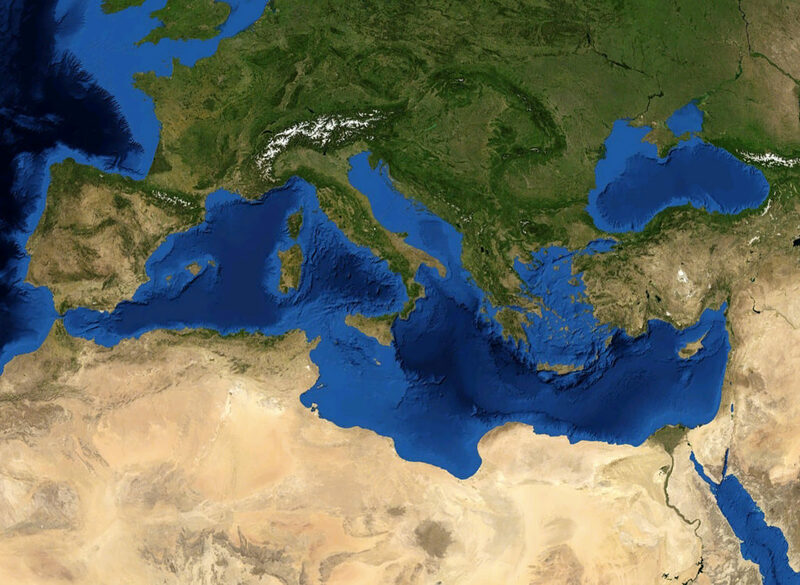 With climate change, the Mediterranean will become warmer and saltier. The Eastern basin is expected to become more eutrophic due to increasing evaporation. The Western basin will become more oligotrophic due to the influx of Atlantic waters. The current animals living in the water might not do well in these new conditions. The EU also has a new Blue Growth Strategy which is encouraging sustainable growth on the marine front, such as aquaculture, tourism, and energy. This would add even more pressure to a struggling system. 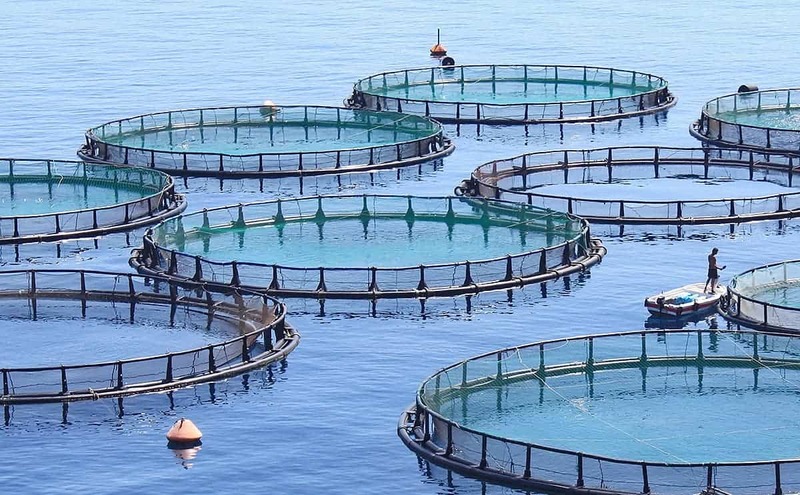 Planned aquaculture could put even more stress on the sea. Image credits: Asc1733. Basically, there are much fewer larger fish and more invertebrates in the sea. Many pressures, such as alien species, eutrophication, aquaculture, acidification, and habitat loss are straining the ecosystem. There is a definite risk that the Mediterranean will be pushed past the point of no-return. The biodiversity and economies would both be lost in this case. Action needs to be taken quickly to prevent this worst-case scenario. Journal reference: Piroddi, C. et al. Historical changes of the Mediterranean Sea ecosystem: modelling the role and impact of primary productivity and fisheries changes over time. Sci. Rep. 7, 44491; doi: 10.1038/srep44491 (2017).